My office will be closed from Friday 22nd December and will reopen at 9am on Wednesday 3rd January. The next surgeries will take place on Friday 5th January at 9.30am at Townhead Village Hall and at 1pm at St Francis Community Centre. 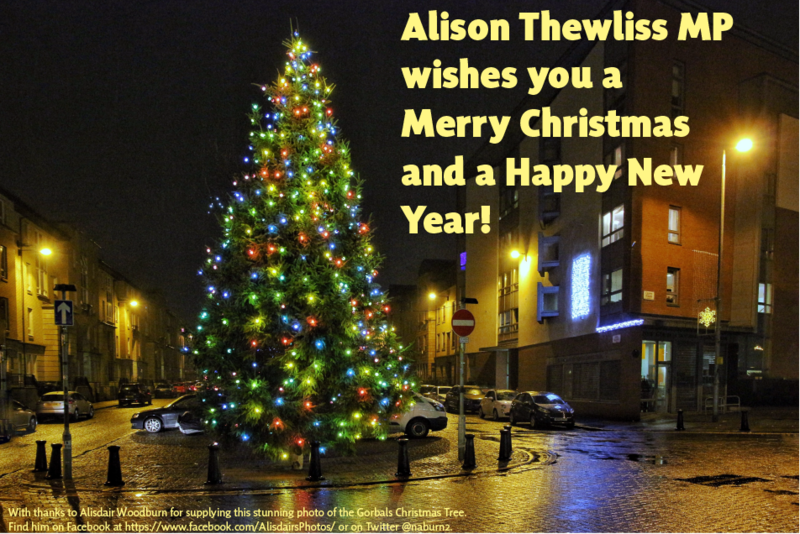 Should you require urgent assistance over the festive period, please contact the office mobile on 07825451152 or email me on alison.thewliss.mp@parliament.uk. This number will be monitored throughout the festive period.